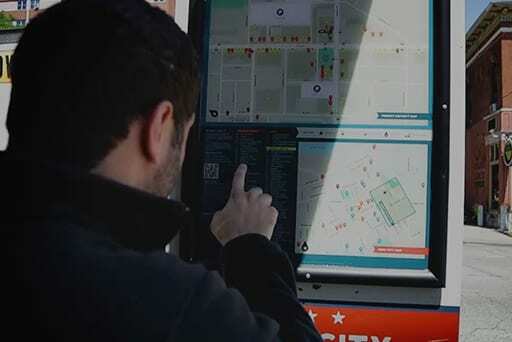 Ohio City Wayfinding - Case Study for an Urban Neighborhood. Ohio City is an eclectic urban neighborhood on the near west side of Downtown Cleveland, established in 1836. Proud of its rich heritage, Ohio City is home to 9,000 residents, a strong business community and the renowned West Side Market. It’s also a dynamic entertainment and brewery district, known as a place where food, culture and art collide into a unique Cleveland destination. In preparation for Cleveland’s 2012 bicentennial and the 100-year anniversary of the West Side Market, Ohio City embarked on a number of marketing-related projects, including a wayfinding strategy for the Market District on West 25th Street to better connect visitors and residents to the neighborhood’s commercial center and attractions. Thomas S. McNair,Director, Ohio City Inc.
Stakeholders were engaged to identify the neighborhood’s challenges around accessibility and walkability, and resulted in a placemaking strategy for the new signage that addressed existing issues and elevated the overall experience. Guide Studio managed an aggressive timeline to accommodate the client’s tight timeline and budget. Bold, innovative signage was created to honor Ohio City and the bicentennial, combining symbols from the brand with elements from the Ohio City flag. 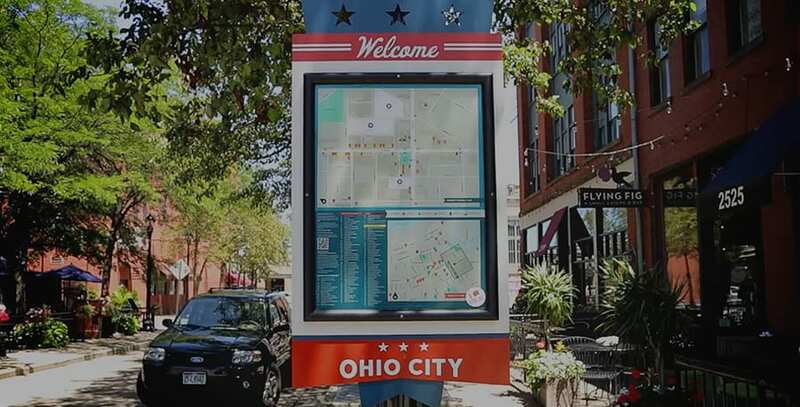 The well-received signage enhances Ohio City’s identity, pride and character while supporting a wayfinding program focused on increasing accessibility and foot traffic.